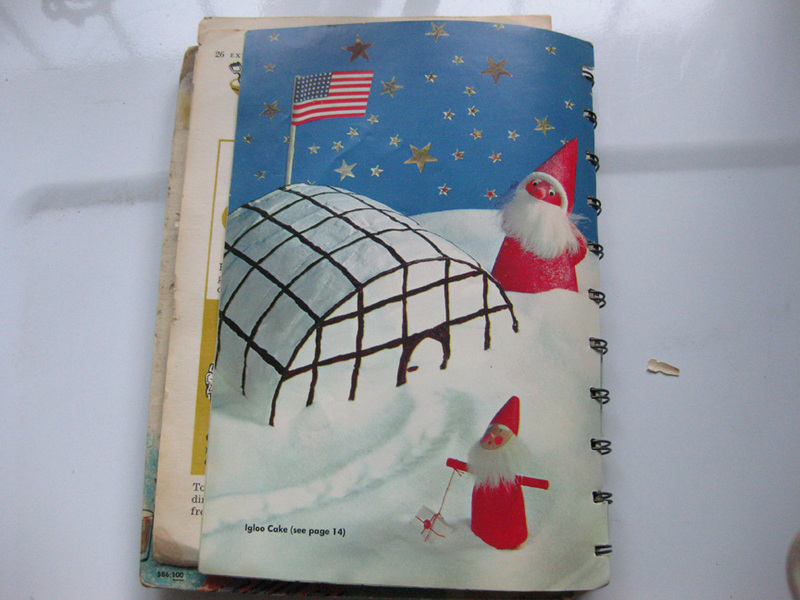 I'm a collector of old cookbooks. I pick them up at estate sales and thrift stores, and a few have been passed down through my family. 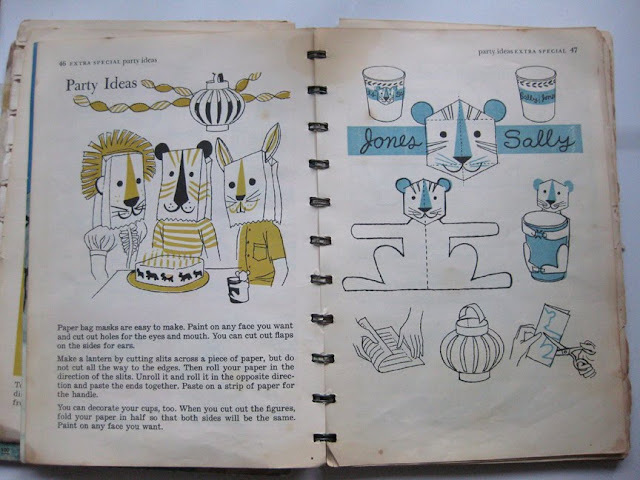 There is no rhyme or reason to the collection, I'm attracted either to the graphics, the recipes, or the kitsch factor. Sometimes its an inscription that wins me over. I also love old church cookbooks. Short little recipes contributed by the ladies' membership with funny old fashioned business ads interspersed. 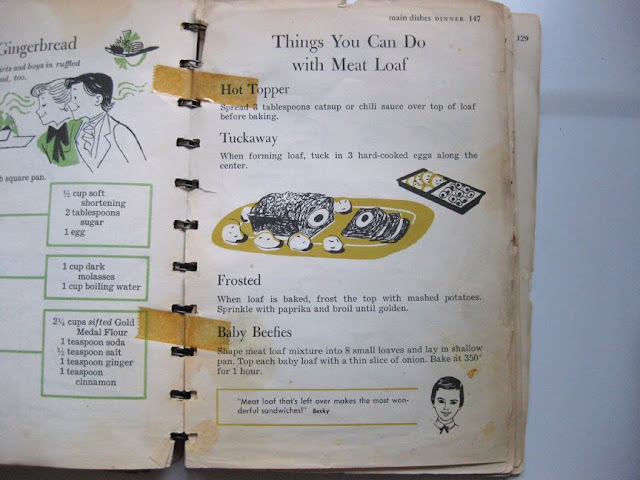 Long ago (in blog terms, like 1999 in real life) I had an online journal where I featured some of the recipes from these old cookbooks. It solicited lots of comments at the time, and I've been meaning to start doing it on this blog. Here is the first entry. 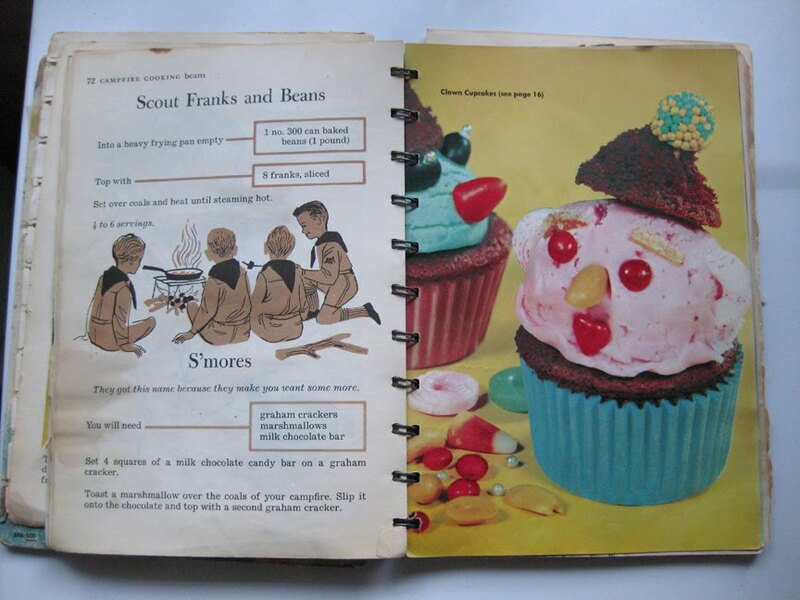 This cookbook belongs in the category of family hand-me-down. Well, not quite, since it's yet to be handed down. My mom has had it since childhood and still uses it occasionally. I have to borrow it from her shelves when I want to use it. 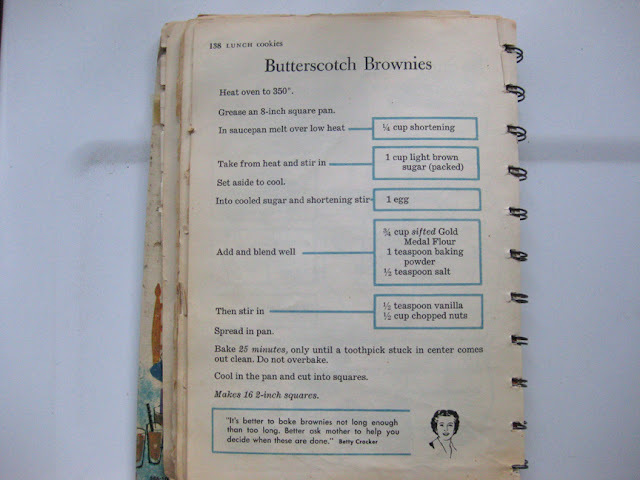 I learned to make chocolate pudding cake from this cookbook, as well as butterscotch brownies. When I was little I loved the cheesy comments at the bottom of the pages from children of the day, as well as the sage advice of Betty Crocker. I also loved the photographs of the food, particularly the cakes. Our book has now seen better days with a broken binding and missing pages. I think it would definitely be worth my while to buy a new copy. Last week I had a craving for butterscotch brownies (or blondies as they are sometimes called). I added chocolate chunks to the recipe and used pecans for the nuts. I think I'd skip the chocolate next time. I like the classic version better. I remember this cookbook, brought back some memories. That cupcake is a little scary looking! OMG I remember this one - my mom had it and I just poured over it as a kid- thanks!!! I still have this cookbook! I got it when I was 10 years old (1959). My favorite recipe and one I still use is the Whiz Cinnamon Rolls. 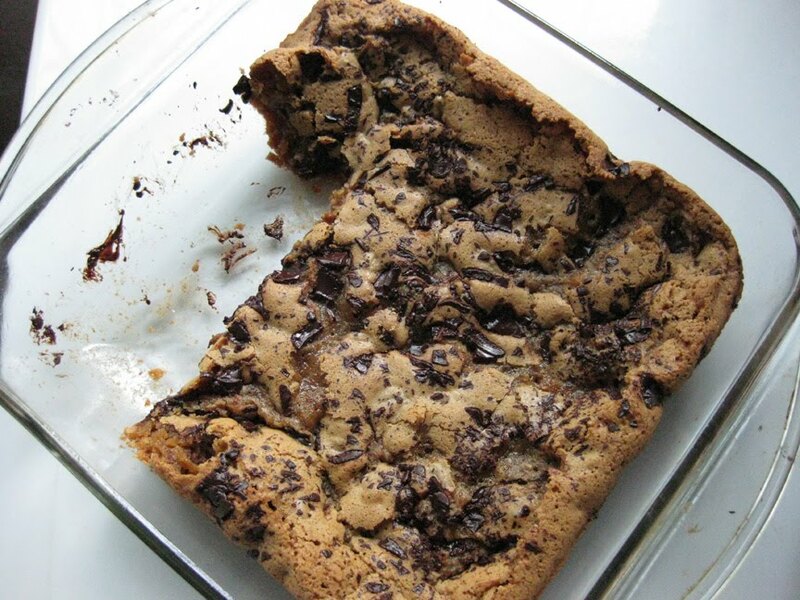 My family still asks me to make those, they are a real comfort food. 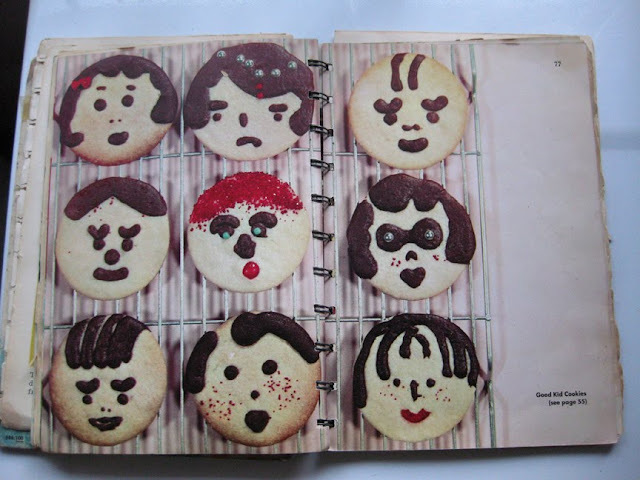 I wouldn't part with this cookbook for anything!